Apple cider (﻿120 calories﻿ pe﻿r 8-o﻿z. glass) saves you a few calories over cranberry juice (137 calories). down more calories without realizing it. A glass of champagne (85 calories per 4-oz.) trumps just about everything else. Have hot buttered rum (220 calories per 80oz. glass). It‟s better than eggnog with brandy, which can pack up to 460 calories. Have our vodka or rum (96 calories per 1.5 oz. serving) with diet soda, or sweeten seltzer with a slice of lemon or lime-both are practically no-cal. And stay away from sour mix: It packs 27 calories an ounce-that‟s more than twice as much as soda! A homemade chocolate chip, sugar or peanut butter cookie will cost you about 70 calories; that‟s about 300 calories less than your typical slice of fruit cake. Pick sugar cookies with sprinkles (148 calories for two) cover sugar cookies with frosting (322 calories for two). Shrimp cocktail (145 calories for 10 large shrimp with sauce) is always a safe bet. Choose steamed dumplings (about 130 calories for three) over fried dumplings or fried spring rolls (about 480 calories for three). Mini crab cakes (150 calories for four) are a smarter pick than the serving of chicken nuggets (220 calories) or pigs in a blanket (270 calories). Dip them in cocktail sauce, not tarter, and save 65 calories same per tablespoon. Order everything “Fresco Style”--that is, with salsa and without cheese or sauce. Depending on how sinful the original item is, it"ll save you anywhere from 20 to 140 calories. “Fresco Style” Grilled Steak Soft Taco, Mexican Rice and Pintos & Cheese (380 calories). duck sauce-just two tablespoons pack 85 calories. It is a myth that heart disease is a man's disease. 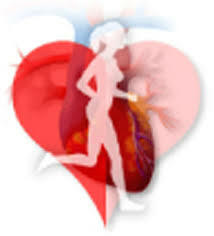 In fact, one in 8 women aged 45 to 64 has heart disease. One in four women over the age of 65 has heart disease. 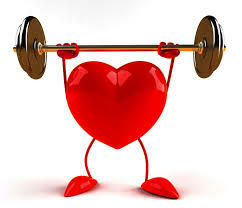 Currently, 7.2 million women have heart disease, states the American Heart Association (AHA).